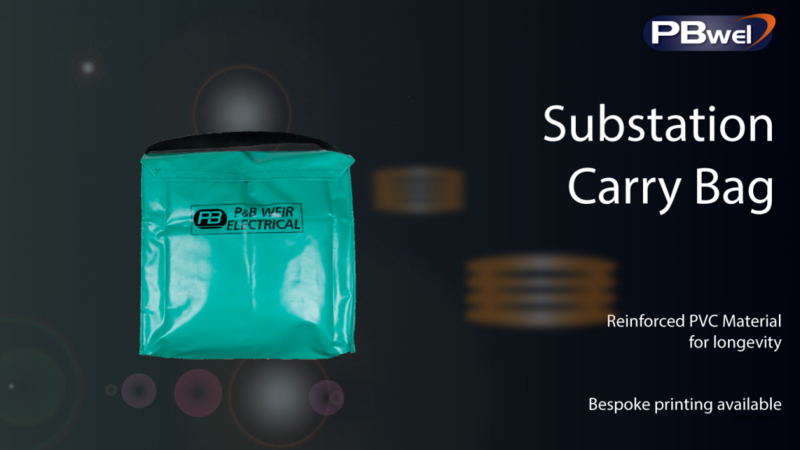 Robust fabric reinforced PVC portable earthing carry bags can be supplied for the storage and handling of substation earthing equipment. These will provide protection of the equipment during transit as well as easing transportation in the field and will keep the earth equipment clean. Our bags are supplied with either quick release buckles or flaps with Velcro fixings and come with a black webbing shoulder strap. P&B logos are normally printed on the Carry Bags so that they can be easily distinguished. Alternatively customer logo or reference numbers can be printed on the carry bag by request.